I recently had the honor and privilege of attending the Workhuman conference for my fourth year in a row. That’s four out of five years for me. I missed the first year, but only because I didn’t know about the event until it was already happening. However, once I stumbled across it I followed along closely, and made sure I was at the next one. Since then it has quickly become an event I very much look forward to each year. I’ve said this same thing in previous years, but the sentiment continues to hold true: Workhuman (now known as Workhuman Live) is a different kind of event from many other HR conferences. The folks who make the effort to attend really (and I mean really) want to be there. There’s no “check the box” mentality here, no “I’m here for the recertification credits” (although they certainly are available). I’m not trying to generalize about other events as I know there are plenty of attendees who take any event they frequent seriously, but Workhuman attendees seem to take their involvement to the next level. They are there because they truly believe in the mission of the event; the importance of building human centric workplaces. And human centric workplaces is precisely what the content of Workhuman Live focuses on. I know that can sound a bit “fluffy,” but that’s not what it is at all. We’re not talking about “being happy at work feels nice;” rather it delves into the science behind and concrete reasons why focusing on the human side of work is the right thing to do with data, stories, and real-life examples and takeaways. When I attend an event, I always try to seek out some sort of theme that manifests throughout. This time being no exception, I looked for one theme at this year’s Workhuman Live in Nashville, but I ran across a problem. A good problem nonetheless, but there was so much quality content that it was difficult to boil it down to just one theme. So instead, I offer a few that rose to the top for me. Traditional management practices have historically focused on controlling outcomes by controlling people. Professor Gary Hamel touched on this a lot in his keynote, and even used the word “controlism” to describe this management philosophy. It’s a philosophy that’s led many leaders to attempt to control things they shouldn’t be trying to control, and many organizations to put constructs in place to enable this sense of control. But rather than trying to control everything, we should be shifting towards a mindset of contribution; in other words asking ourselves what can we do as leaders and as organizations to enable our people to more effectively contribute to organizational goals. Some of the best ideas come from the front lines (another theme that turned up in multiple places throughout the event) so how do we leverage those ideas more effectively? By truly enabling a culture of contribution, we allow our employees to feel more valued, to apply more of their talents to their jobs, and to ultimately help the organization reach its goals. But to get there we have to examine our practices and be honest about where we’ve embedded too much control into our organizations. A panel on the future of Performance Management (panelists included industry analysts Ben Eubanks, Madeline Laurano, and Stacia Garr) suggested that traditional performance management methods do just that. The panel argued that performance ratings and, even worse, forced ranking systems are attempts to neatly group people, with too much focus on how to “manage” someone’s performance rather than how to enable them to do their best work. Rather than dwelling on past performance, why not focus on potential and timely feedback in an effort to measure the actual impact an employee is or could have on organizational goals and performance? 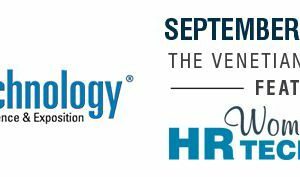 Another theme that surfaced throughout the event is the idea that there is value in every single employee within an organization, and as HR professionals and organizational leaders we have an obligation to recognize it and encourage it. In his session “Neuroscience, People, and Culture” Joe Whittinghill, Microsoft’s VP of Talent, Learning, and Insights discussed how they moved away from the idea of “high potential” development programs in favor of a philosophy that all employees have potential to offer. 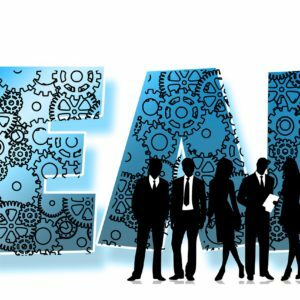 Instead of encouraging a culture of “know-it-alls” they embrace a culture where everyone is encouraged to be a “learn-it-all.” And “HR strategy” isn’t a set of objectives that lives in the HR department alone, but rather are a set of people principles that are shared throughout all leadership teams. In this way all leaders throughout the organization are tasked with developing their people by encouraging continuous learning. In her keynote, Kat Cole of Focus Brands fame (you know them as the umbrella company of such favorites as Cinnabon, Auntie Anne’s, Carvel, Jamba Juice, and Moe’s Southwest Grill) encouraged seeing the value in everyone with her belief that true innovation comes from the front lines (wait, didn’t we hear this somewhere already?) Leaders have an obligation to stay “close to the action;” the frontline employees dealing with day to day business issues are often the best problem solvers with the best ideas, but they don’t always have a way to bubble those ideas up, or even how to put them into the right words. Again, there’s potential in everyone, we just have to know how to recognize it and encourage it. Coming back to Gary Hamel and his keynote, he suggested that one way to drive innovation and build change from the ground up is by fostering a culture that encourages “relentless experimentation.” This can be a tough one for many organizations and leaders because of a natural aversion to failure. But it’s essential to shift our mindset from one of failure being a bad thing to one that sees it as an opportunity. In fact Kat Cole referenced failure as the “First Attempt In Learning.” We can’t be so afraid of hurting the business in the short term that we fail to do the right thing for the long-term good of our employees and the organization. However, cultures of innovation and experimentation are difficult to achieve when an organization is fraught with bureaucracy; according to Professor Hamel it’s not the failure to see change coming that holds most organizations back from innovation or transformation, it’s in fact their own bureaucracy. And I believe that bureaucracy is often borne of that traditional management ideal of control and fear of failure. So it comes down to this: to build people-centric organizations suited for the future of work, we have to learn to relinquish that control so many wish to maintain, to recognize the value in and encourage the potential in everyone, and encourage innovation, experimentation, and even potential failure at all organizational levels. I, for one, can’t wait to see this happen. Workhuman Live 2020 will take place in Denver, CO next March. You can find more information here.